Only a few more days before Mother’s Day, but don’t panic. You’ve still time to tell us your Mum’s favourite foods for her special Mother’s Day Gluten Free Gift Hamper. Really make her day by choosing some of the tastiest gluten free treats. We’ll deliver them directly to your Mum’s door in a beautifully presented personalised hamper. We’ve got next day delivery up to this Friday. If you’re short on time, choose one of our specially designed gluten free hampers. 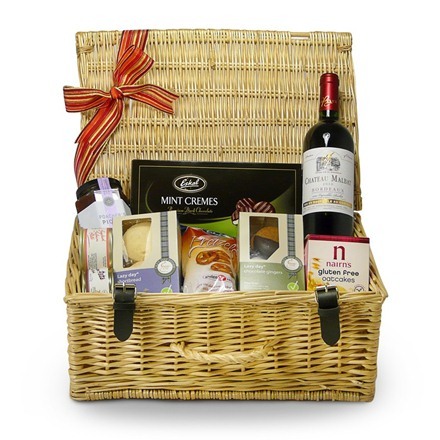 We hand pack our hampers to order so you can add a little something to your chosen hamper to make it extra special. And remember to let us know what you’d like written on the personalised card we place inside the hamper too. 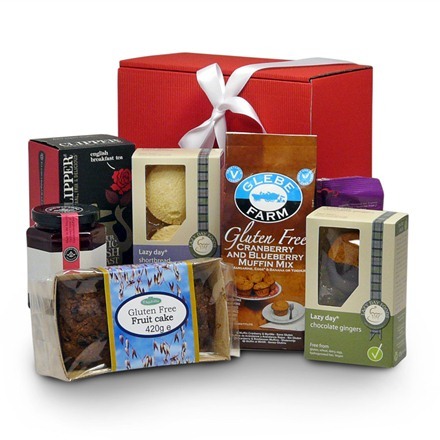 For an extra special gift, create your own gluten free hamper. Not sure where to start? Here are a few tips for little things that will be greatly appreciated by your mum this year. You might not be nearby to treat your mum to a day out but providing her with the best quality gluten free ingredients as an afternoon treat is a delicious alternative. Choose from a selection of gluten free cakes, biscuits and desserts on our website. Or try this scrumptious gluten free Afternoon Tea gift hamper. Did you know that weighing scales are programmed to rest for the week after Mother’s Day? A fact all mums should know. So now is the time to surprise your Mum with all the chocolates, cheeses, biscuits and cakes that she loves to eat. Dieting is for another day. This Indulgence Hamper will definitely bring a smile to her face. 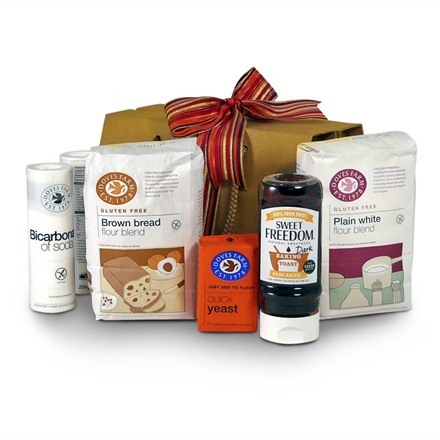 Being gluten free doesn’t limit your baking passions so we’ve put together a Baker’s Gift Hamper. The gold gift box includes gluten free baking ingredients for savoury and sweet recipes. Just enough to get the creative juices flowing. Food really is the way to the heart this Mother’s Day. 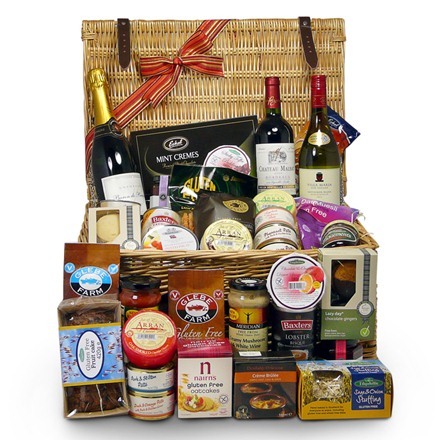 If you need any help deciding what you’d like to add to your hamper, we’re happy to help.